Website design is similar to fashion – it changes every year. You don’t have to keep up with the latest website designs every year. After all, Amazon has had the same general design for its product pages for two decades. However, users expect certain design standards when they access your site and some of these standards are the latest trends in coding. If your site design is more than five years old, it could be time to reconsider. It’s not always easy to admit that it’s time for a redesign, but here are some tips when you know your current design is killing your conversion rates. Is Your Site Slipping in Search Engine Rank? Search engines keep their algorithms a closely guarded secret, but user experience is somehow calculated into their rankings. How they calculate user experience is a mystery to anyone except their engineers, but it’s obvious to anyone who has let their site design age that it eventually sends low quality signals to search engines. Users know old designs when they see them, and they give off a feeling that the site has been abandoned. When users skip your site in search engine results or simply leave your site for a competitor, search engine algorithms pick up on this user behavior pattern and begin to lower your visibility and ranking. If you feel that you’re slowly slipping in rank and you’ve held on to that old 2010 design, it’s time for a redesign. Are Your Conversion Rates Slipping Too? When users feel that you’ve abandoned your site, you lose trust. Trust factors have been a long-term goal for online marketing people. You don’t enter your banking information on a site that doesn’t feel legitimate, and neither will your own visitors. One factor in that trust is the site design. One way to identify when design is an issue is when direct visitor traffic has a very low conversion rate. Direct visitors should have a much higher conversion rate than other traffic. When your trusted customers lose trust in the site, it could be time for a redesign. How Often Do You Change Your Site? Customers like to see updated content on your site. If you have static content that rarely changes, it could be time for a site redesign especially if the only reason you keep this content is so that you don’t need to edit any code. If you consistently make changes to the site to accommodate older programming habits, this could also be a sign that you need a redesign. Your site should be easily manageable. With the numerous tools and applications available on the market, like WordPress, there is no reason for site owners to have bottlenecks when adding pages and content to their sites. 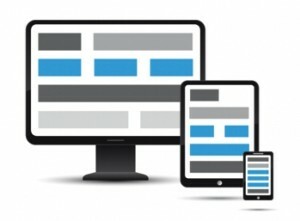 Do You Offer a Responsive Version of Your Site? Take a look at any analytics, and you’ll see an increasing number of mobile users. More users are using smartphones and tablets to access the Internet rather than desktops. Google even announced that it would make mobile compatibility for sites a part of its mobile search engine. If you don’t have a responsive design, you’re missing out on the numerous opportunities. Responsive design is built into almost any current layout, but older designs don’t cater to smaller screens. Your site must respond to desktops and mobile to stay current, and you can even increase mobile rank and sales from these mobile device users. When Was the Last Time You Tested the Site in Newer Browsers? A decade ago, the mainstream browsers were Internet Explorer and Firefox. Microsoft recently re-engineered its browser and rebranded it as Edge. Firefox has had several iterations, and Chrome came to market in 2008. Apple has its own Safari browser as well. These new browsers have evolved to meet the changing need for website design and security. Even if you tested your site in Internet Explorer and Firefox several years ago, it doesn’t mean the site works in current versions. Visitors to your site are more likely to bail from your site rather than send you an alert that something is wrong. Instead, you should test your site in current browsers. If your design is too old, it’s possible that some elements don’t work properly in newer web browsers. Is Your HTML Code Using Deprecated Tags? Has the Accumulated Site Content Become Disorganized? As the years pass and you continually work on your site, it can become disorganized. Most site owners don’t have time to reorganize and program a site to keep up with its changes. This means that they throw together something that works and wait to come back to it later. If your site’s structure is no longer optimized, it’s time to redesign it. A redesign isn’t just coding new pages and adding more images. It’s also about reorganizing content and making it easier for users to find what they are searching for. 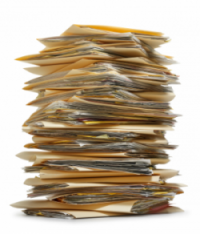 Are Your Menu Items Cluttered? Old sites tend to use menus to place every product and category in front of the user on the home page. The more cluttered it gets, the more difficult it is for the user to find what they are searching for. Some site owners just keep adding to the menu as they add product or services. The disorganized menu items are a design and user experience issue. With a redesign, you can create a purchase funnel that helps users find products more easily. Better usability has been shown to attract visitors and keep them coming back as return customers. Are You Losing Customers to Competitors? The Internet is a competitive marketplace. Even when you think you don’t have competitors, you probably do. You should always perform competitor analysis against your common search queries that drive traffic to your site. If your competitors are ranking ahead of you and their site design is much more current, you could be losing sales just from competitors with better sites. Some of your customers might even mention your competitors as a reason for switching services. Are You Still Using Flash? Adobe Flash was the de facto answer for animated web designs years ago. Flash can’t be crawled easily by search engines, and it’s not always supported by browsers especially since a major security flaw was recently exposed. Search engine browser companies have even blocked Flash by default to protect users. 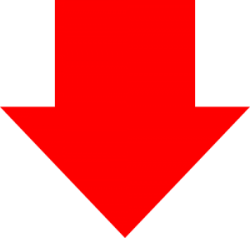 This means your content won’t render when users access the site with newer browser versions. Instead of using Flash, HTML5 offers a new canvas tag that allows web designers to create animations that are native to the language. No more asking users to install third-party software. They just need a browser to view your content. Any site that’s still using Flash should redesign their animations with HTML5. It’s quicker to code, more secure, and faster than Flash. Are You Just Sick of Your Design? Not every site owner needs outside validation that the design is too old and outdated. Some site owners get sick of their own design and decide it’s time for an upgrade. You should update the design if you decide to rebrand too. Rebranded sites with new slogans and logos should never use the same design. You should time your redesign with your rebranding efforts, so they are both released simultaneously. If you answered “Yes” to any of these questions, it’s time to consider a redesign. Overall, if your site design is older than 5 years, then you should consider taking a leap towards a new design and layout. A fresh new look can greatly improve customer interaction, visibility in search, and increase conversions for your site.